I’ve always been a fan of the color green but mostly the really deep shades of evergreen, the classic olive, and jewel toned emerald but lately this very special shade of green is speaking to me. This pretty hue is soft yet vibrant and pairs so well with gray right now which is a huge staple of my cooler weather wardrobe. Later, when the temp rises, this color looks fantastic with a tan and mint is perfect with your spring/summer neutrals and white. 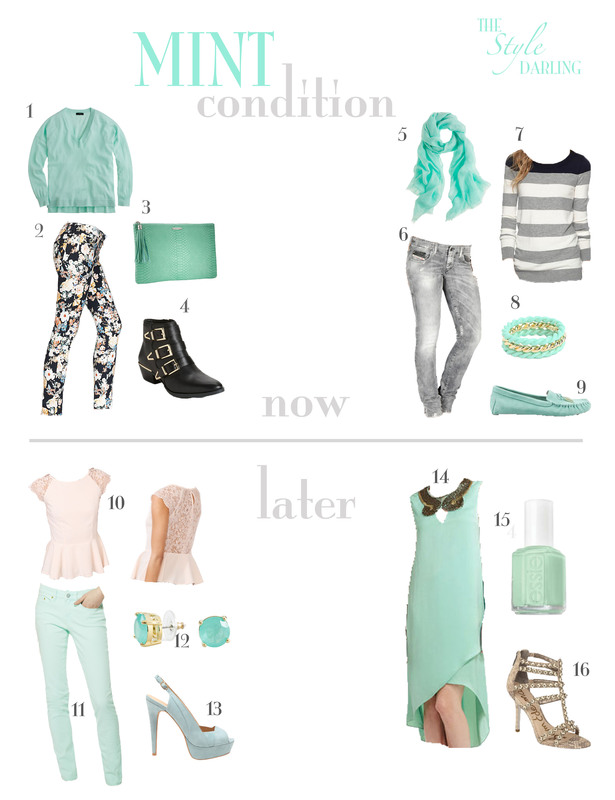 If you’re feeling especially girly, try going pastel from head to toe! *I actually couldn’t resist this gorgeous dress and purchased it for my upcoming trip to Key West! Key West: What to Pack post coming soon! If you’re like me, you get that packing is one of the best parts of a trip! So welcome to my new installment: ‘What to Pack’. I’ve teamed up with Diesel at King of Prussia Mall to host their grand opening this weekend with a chance to win 2 tickets to Coachella plus airfare and access to the Diesel house! Diesel’s designs are simultaneously edgy and effortless which couldn’t be more well-suited to Coachella’s chic Cali vibe. We’re talking some crazy cool distressed denim, a dress that zips apart into a vest & skirt, and some show-stopping prints! So I’ve pulled together my dream Diesel wardrobe for this three-day mega music festival and a few beauty necessities to ensure that you stay stylish and safe under that warm Cali sun! This post is sponsored by Diesel. The world has lost a true icon, artist, and genius. His legendary design has defined chic, feminine style for decades and his impact on the fashion world has been immeasurable. His legacy is eternal, inspiring timeless style forever. Rest In Peace, Karl Lagerfeld. Get The Style Darling in your inbox! Enter your email address to follow TSD and receive notifications of new posts by email. Let’s make it FB official!